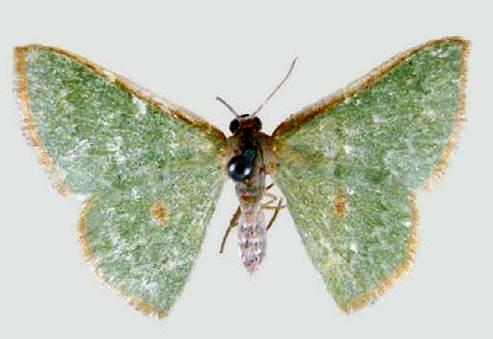 The adult moths of this species have green wings with two faint dark zig-zag lines across each wings. 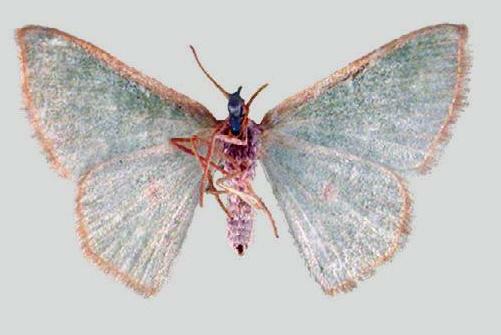 The wing edges are rusty red, and there is a red spot near the middle of each hindwing. The wingspan is about 2 cms. Volume 5, Part 1 (2012), pp. 79-100, Figs. 25 a,b. Volume 12, Part 1 (1941), p. 46.